If you are searching for “Growing a Vegetable Garden in Arizona” you’ve probably just bought your first home in the state and want to kick off your gardening right. A&P Nursery is Phoenix’ East Valley Nursery and gardening headquarters for the right tools, right plants, and the knowledge to do it right. This article is designed to help you understand the basics of gardening in the state. What does it take to vegetable garden in Arizona? What’s the best location for my vegetable garden in Arizona? Which soil type is best for growing vegetables in Arizona? What’s the best size of vegetable garden to start with? How do I prepare the ground for my Mesa vegetable garden? How do I control soil quality and watering better? What vegetables grow best in Arizona? Can I grow two crops of vegetables in Mesa? What’s the best vegetable to grow in Arizona? What types of seeds are best for beginners in Phoenix? What tools do I need to garden in Arizona? How do I water my vegetable Garden in Arizona? How do I keep pests away from your vegetable garden? What does it take to vegetable garden in Arizona? 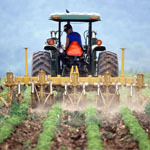 – Gardening in Arizona can present unique challenges whether you are growing a garden for aesthetic purposes or one that produces vegetables and fruits. The intense desert climate in Arizona only lends itself to certain plant species that can flourish in the unique and dry climate. 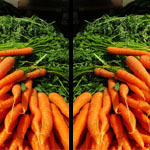 This article is going to focus on vegetable bearing gardens and how to maximize their potential if you happen to live in the desert Southwest. What’s the best location for my vegetable garden in Arizona? 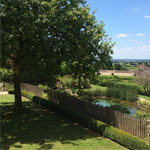 – The first factors you need to consider are going to be the basics that will apply to gardening no matter where you are located on the planet; soil quality, water, sun exposure, timing. Making sure you have an adequate plan and location that will fully facilitate your garden’s anticipated needs is going to have the most influence on the potential success of your garden and the extent that the success can be maximized. Scout your property and pay close attention to the lay of the land and its surroundings. If you can’t find a plot with enough sun exposure, you may need to plant or remove a tree or two and also place or remove any objects you may want that can assist in the proper amount of sunlight reaching the hungry plants in your garden. Vegetables need at least 6 hours of sunlight; they also need adequate time in the shade as the AZ sun can be quite harsh on overexposed plants. Which soil type is best for growing vegetables in Arizona? The vast majority of Mesa plants absolutely love gardening loam. Loam is a soil classification that means that the soil is a balance clay and sandy soil. This gives you the benefits of both and alleviates the drawbacks. What’s the best size of vegetable garden to start with? 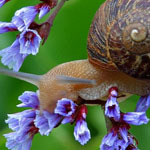 – The size of your garden is a factor that you need to decide early on as well. Starting small is best for most people because a smaller garden is much easier to manage. 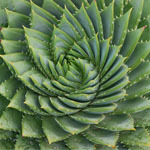 Starting smaller affords you the opportunity to know how much time and effort goes into even a small amount of plants, which will let you know how big of a garden you can actually attend to adequately. How do I prepare the ground for my Mesa vegetable garden? 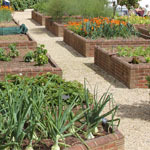 – Once you find the right plot for your garden you may have some work to do to properly prep it for planting. Sod may be on the plot you select and will need to be removed in order to be able to till the soil. Once you have removed the sod and tilled the soil, you can add organic compost, manure and planting soil before tilling a final time before starting the planting process. How do I control soil quality and watering better? 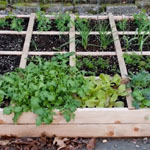 – Another way to get started with your garden is to use raised garden beds. Using a raised garden system is highly recommended for gardening in Arizona. This will give you valuable added control over the overall conditions and soil quality of your garden. If you aren’t Bob Villa you can always get yourself a pre-fabricated raised garden bed kit. What vegetables grow best in Arizona? – The next factor to consider is which vegetable bearing plants can thrive in Arizona. The crops that are easiest to grow in AZ are green beans, herbs, peppers, sugar, snap peas, tomatoes, radishes, and carrots. Sticking to these varieties initially will not only set you up for success, it will give you valuable experience that will be much needed if you plan on branching out and growing varieties that are harder to foster in AZ. The best times of year to plant the seeds for the plants species listed above is between the months of November and March. Understand that around January frost becomes more likely and you should make sure your crops are covered so they do not become damaged or even die, due to frost exposure. Can I grow two crops of vegetables in Mesa? There is a unique advantage to growing vegetables in Arizona and that is the fact that many vegetables can have double growing seasons. The fact that you can double your yearly harvests in AZ means that you potentially grow twice as much produce and that can save you money on groceries while eating fresh produce almost year round. As your green thumb becomes established, your harvests will increase and become exponentially more plentiful. This article is about vegetables, but is should be noted that the same goes for fruit and having citrus growing year round will provide a great aroma to your property as the trees bud and bear fruit. What’s the best vegetable to grow in Arizona? Green Beans are one of the best vegetables to grow in AZ. 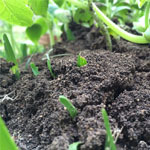 The soil in Phoenix is especially well suited to the growing of green beans. November is the recommended time of year to plant Green Bean seeds, just remember to cover the plants once frost becomes a threat. One option to avoid frost is to start the plants life indoors, moving them outside once the frost season has passed. You can also place tomato cages around your Green Bean plants in order to consolidate space in your garden. 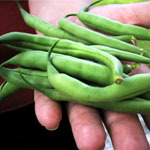 Sugar Snap peas are another vegetable that grows well in the same window. You can follow the same steps to avoid frost with Sugar Snap Peas that we mentioned using with Green Beans. Another vegetable that loves the long growing year in Arizona is Parsley. Parsley absolutely loves the Arizona climate and can thrive as much as you want it too. 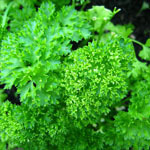 You may actually have to eventually limit the parsley as it can start to take over your garden. Planting in the springtime is recommended and once your plants begin to mature, you can have fresh parsley at the ready year round. What types of seeds are best for beginners in Phoenix? 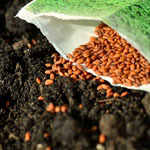 For the beginner gardener it helps to have a type of seed that germinates quickly and is heartier. In Arizona, it is best to select seeds that have gestation periods of 60 days or less as they are the easiest to foster in the desert climate. What tools do I need to garden in Arizona? – Like most things in life the right tools for the job makes the job that much easier, and more fun. A good pair of gloves for the handling of prickly items, and also to offer a little protection from insects goes a long way. You’ll want a sturdy shovel for those pesky rocks and tougher soil that you might need to dig in to plant items with deeper root system, such as trees. 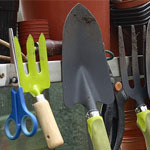 Having a garden spade makes maintaining edges around flower beds and the preparation for installing raised garden beds much easier than using a rounded shovel edge. How do I water my vegetable Garden in Arizona? 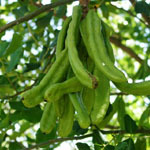 – Depending on the type of garden you plant and which vegetables you choose you will need different watering systems. But having an automated system makes it that much easier for the passionate gardener. 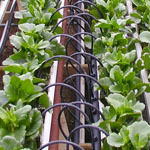 You can get drip lines that put the water directly on the ground next to your vegetables instead of sprinklers, which are best suited for water lawns. How do I keep pests away from your vegetable garden? – There are various kinds of pests you can encounter here in Arizona. Some will need professional removal, such as venomous snakes or scorpions. Contact a licensed professional that has the training and right equipment to remove such pests. For the rest of the insects and foraging animals you can use chicken wire or other types of fencing to keep them out. As for insects there are different kinds of sprays available at your local gardening shop. 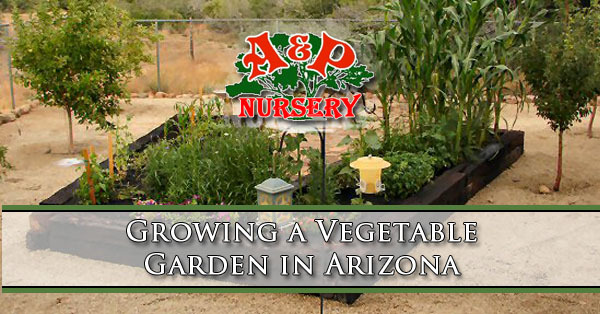 A&P Nursery is your local expert in Mesa, Arizona. We have the knowledge, we have the tools, and we are here to help you start, maintain, and push your garden up to a new level. Contact our experts for the help that will get results and make your hard work come to bear great results.